With the Hotjar integration you'll be able to track Qwilr Page viewing activity in your Hotjar account. View heatmaps or visitor recordings. Hotjar has both free and paid plans. 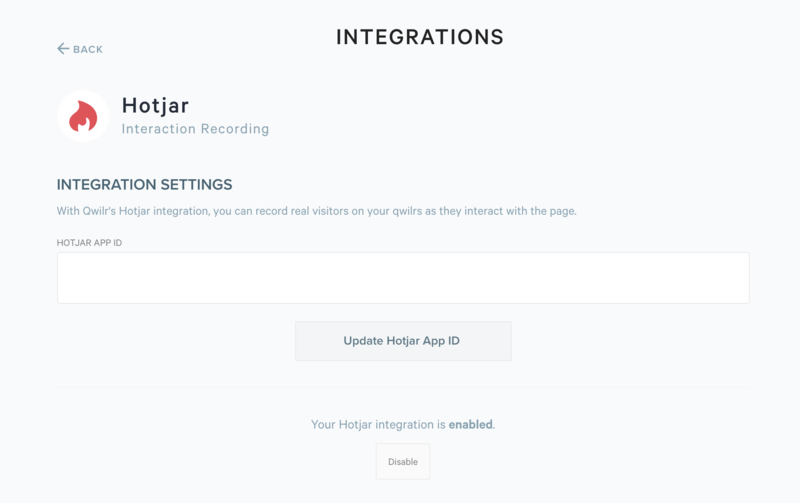 Step 1: Within your Qwilr account head to Account Settings → Integrations and click on Hotjar. 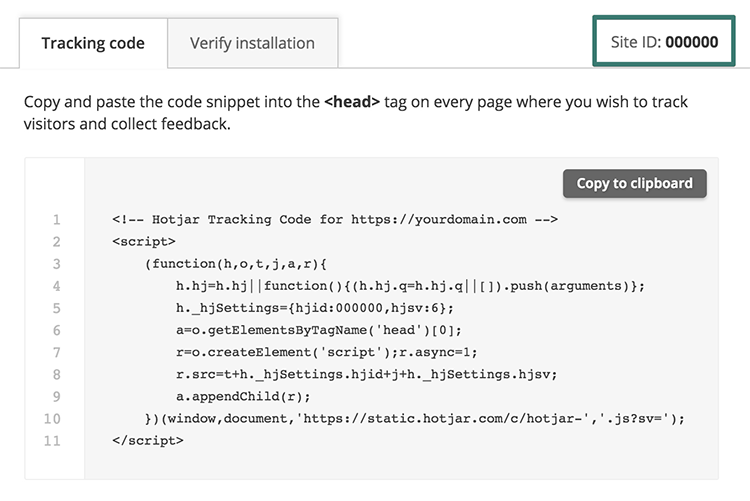 Step 3: Head to Hotjar and within the Settings go to your site and open up the tracking code. Copy the Site ID. Step 4: Paste that into your integration settings and click on Update Hotjar App ID. As soon as you've enabled the integration Qwilr will start automatically including your Hotjar tracking script on all pages. You won't need to do anything on a per page basis.